Thermoworks ChefAlarm Review - Is this the best high end thermometer? ThermoWorks ChefAlarm Review – The best high end BBQ thermometer? 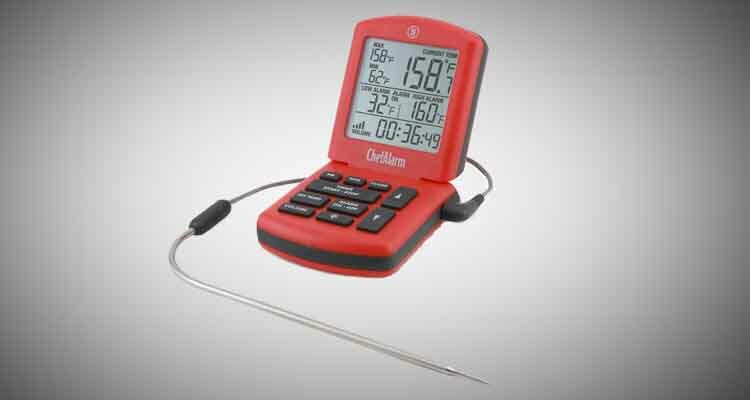 We recently included the Thermoworks ChefAlarm on our best smoker thermometers guide. 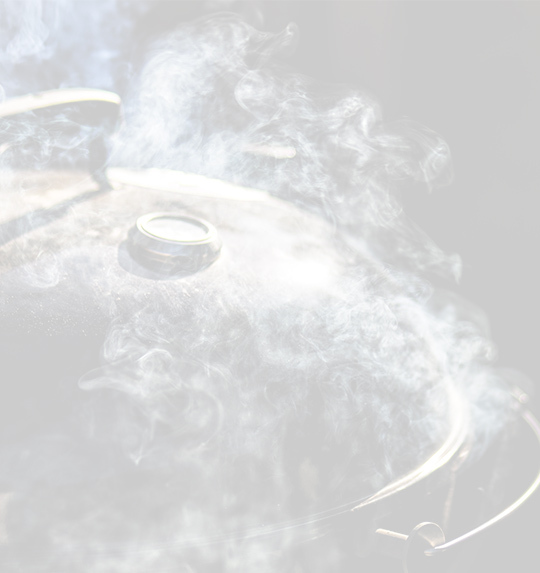 Even though this single probe thermometer will cost you close to double what many duel probe thermometers cost, the build quality and ease of use made it our “best quality smoker thermometer”. While you can get a quick overview of what makes this thermometer special by checking out the guide above, we wanted to drill down into exactly what Thermoworks have created in this review, and give you all the information you need before you decide to pull the trigger. It seems like every time we try a different thermometer there are some major drawback, if it’s a good price, it’s probably cheaply made and falls apart just from you looking at it. If it’s expensive, and packed with features then trying to use it is more confusing than flying a space ship. 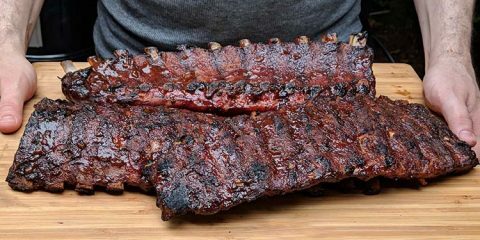 While we are reviewing the ChefAlarm for barbecue use, this thermometer gets a lot of praise from other industries including brewers and chefs. The ChefAlarm was designed with professional kitchens in mind. This means you get a huge screen which is easier to read at a glance than some of the competition, as well as large buttons which makes operating it a breeze. This is especially useful if if you’re using it at night, or have poor eyesight. Thermoworks have bet that their customers value build quality and ease of use over fancy features. We think that decision has paid off. We recently discovered that some unscrupulous people are selling ThermoWorks products on sites like Amazon and eBay at huge markups. ThermoWorks products bought off these 3rd party websites are not covered by technical support and warranty. Each ChefAlarm comes with the digital readout unit, high temperature probe and cable, pot clip and zippered case. In which everything fits neatly, that way you don’t end up throwing the product in your aforementioned drawer and losing parts. We were surprised how high quality the case felt, this doesn’t seem like something that is going to fall apart in a matter of weeks. The specifications are as follows, it is important to note how heat resistant the cable is, something you don’t see often. We found the ChefAlarm to be gloriously easy to use, rather than the latest design trend of taking out as many buttons as possible and having the remaining ones do seven thousand different things each. The ChefAlarm has a button for each action and they are clearly labeled. Despite the fact that it does have a lot of features. We especially liked the little touches. 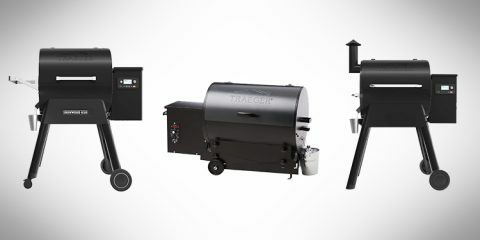 Like the fact that it comes with a pot clip for deep frying, and that the back of the unit has a magnet on it so you can keep it on your smoker or barbecue. The probe itself is bent at a 90° angle which makes it easier to take out of the meat afterwards as well. As was mentioned in the specifications, even at higher temperature the unit is very accurate. What surprised us most about the ChefAlarm is the speed it reads at. The main difference between a countertop thermometer and an instant read thermometer like the Thermapen (made by the same manufacturer as the ChefAlarm) is the probe thickness. The thin probe allows it to absorb and read heat quickly super fast. Which is important when you’re cooking a steak and a few seconds can mean the difference between perfect medium rare and dry overdone. While most thermometers have a thicker probe and take longer to get a decent read on your food, the ChefAlarm’s probe is pretty thin which allows you to read temperatures accurately within 5 seconds. 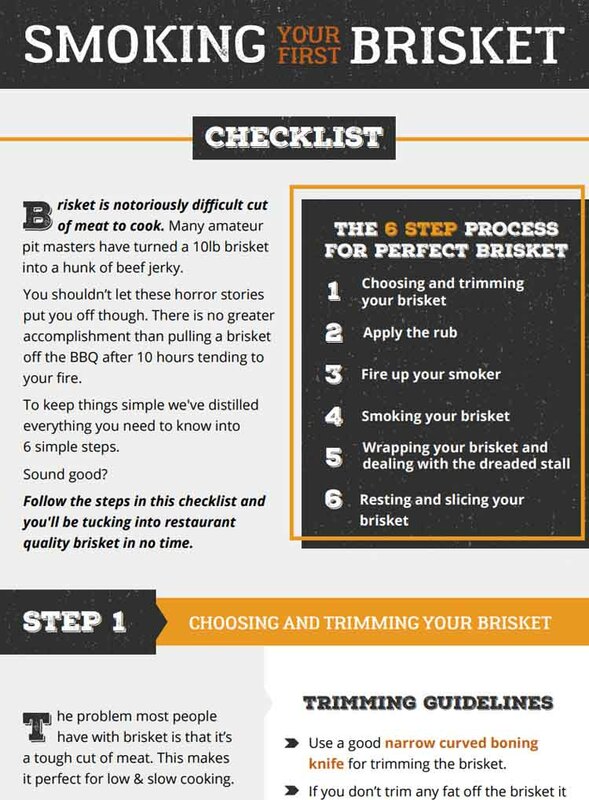 So if you want a thermometer that can work just as well as a pit probe or a leave in meat probe, or to get a quick read while grilling meat then you can easily justify spending the extra cash on the ChefAlarm. We also like the fact that the cable is heat resistant to a higher temperature than the probe is. 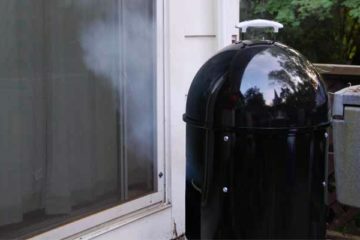 Often that is not the case, and if your smoker really starts to get going you will fry the cable and render the entire product useless, which is incredibly annoying. While generally considered to be a high end piece of tech, we did have some questions about the build quality. The readout unit is not entirely waterproof, and can only withstand some light splashing. Which means you will want to keep it in a plastic bag if you’re using it outdoors, just in case it rains. There have also been a lot of reports about the cable becoming frayed rather quickly. Both of these are common issues with thermometers in general, but it would have been nice to get a little bit more durability at this price point. On the plus side if you do experience any issues the customer support team at ThermoWorks is highly regarded and have been known to quickly replace faulty units. The readout unit itself feels durable and feels like it could survive being dropped or jostled every so often. As previously touched upon the case is well built and holds everything well, which means it wont get scratched or lost. For most of you out there looking for a bbq thermometer you will already be considering the Maverick ET-733. The ChefAlarm has a few key features that make it stand out form the sea of Mavericks. It may seem a bit silly but the ChefAlarm just felt better in our hands. When you pick it up you can tell it’s durable. After all it was designed for the heat and stress of commercial kitchens. We loved the zippered case for added organization and the magnetic backing that allowed you to stick it onto the barbecue or oven. The two year warranty was also a big bonus, so you know that your purchase is a safe one. Also, the ChefAlarm has interchangeable probes which can be swapped out for a number of different purposes, depending on what you’re making. So it’s really several thermometers in one. It includes a high and low temperature memory that lets you know what your food got to when you were gone. 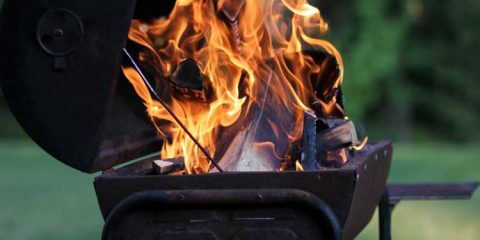 Which for barbecue is invaluable information. In these ways the ChefAlarm sets itself away from the pack and proves itself to be one of the best thermometers on the market today. Both ThermoWorks products, the Thermapen is a waterproof instant read thermometer that is handheld. It can be used to accurately and quickly determine temperature on the fly. They are two vastly different products with different uses, and we find that they work quite well in conjunction with one another. 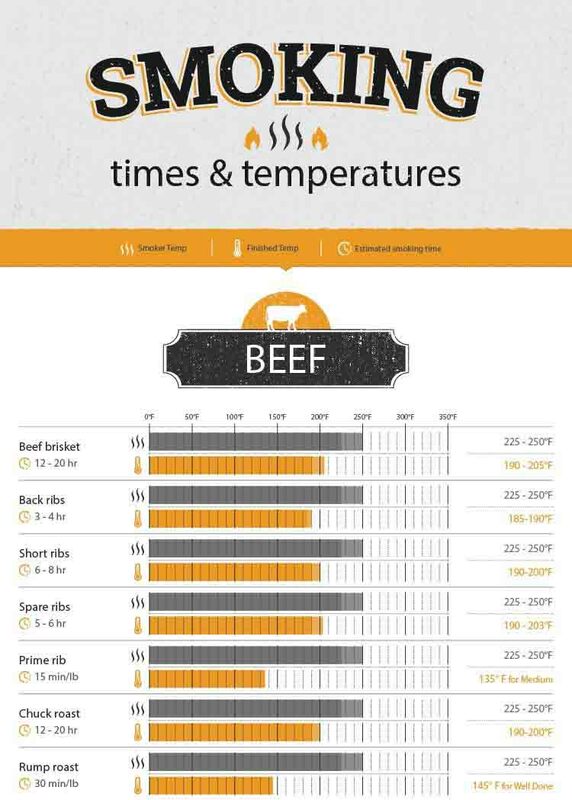 While we previously mentioned that the probe thickness of the ChefAlarm allowed it to read temperatures quickly, the Thermapen is by far the fastest draw in the west and can be used to confirm temperatures in the more “delicate” areas of the meat, like right beside bones or in especially thick sections. Plus it’s always good to have something like this around, you don’t want to be unzipping a case and setting up your thermometer for absolutely everything. Should you buy the ChefAlarm? We’ve reviewed lots of thermometers and rarely do we come across one that nails the basic features, doesn’t add a bunch of useless crap and comes with such a high degree of build quality. It is the everyday mans thermometer, no frills, no confusion, nothing to prove or be fancy about. If you want a smart bluetooth thermometer that connects to an app on your phone then the ChefAlarm isn’t for you (if this sounds like something you would like then check out the iGrill2 available on Amazon). Just a quality product designed for the hardships of a professional kitchen. 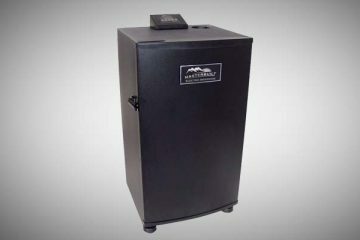 Making it an ideal smoker for the kind of person who wants to focus on smoking meat. Not figuring out how to use an overly complex piece of technology.